Producers of science-based technologies need direct access to clients and support in promoting their products. Big companies need fast, ready-made technological solutions that will fit into existing business models. Investors hope that the tech projects they have invested in will gain a foothold on the market quickly and progress promptly from investment to revenue. A one-stop platform for sourcing, developing, distributing and investing in ready-made technologies. We help tech owners, enterprises and investors achieve rapid commercialization of ready-made technologies, enabling them to overcome the many challenges and achieve their commercial and financial goals. 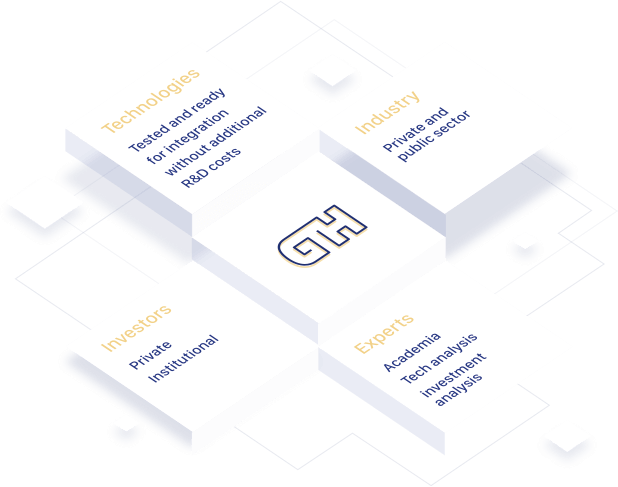 We aim to enable fast and direct interaction between technology, market players and investors by creating a community of tech owners and their sponsors, investors, academics, technology and investment experts, industrial partners and other interested parties. Global Tech Hub provides access to developed and innovative technologies from across the globe. Global Tech Hub provides opportunities to invest in a wide range of tech projects. GTH helps owners to find partners for worldwide project development. FlexIoT is a platform developed on the basis of the LCA paradigm, which provides IoT developers with ready-made solutions for transferring, storing and processing data from connected devices. A unique Highly energy saving glazing ТЕPLORIUM realizing resistance to the heat transfer Uw=0,418-0,408 W/(m2K), which is to 4 times exceeding the mass energy saving glazing system in aluminum, PVC or wood framing and by 60% exceeding the efficiency of best known global energy saving developments and standards for Passive buildings and it is up to 70 % more energy-saving. And also it gives superior characteristics on noise insulation and strength, allows to reduce expenses for engineering equipment. GetShopTV is a platform that allows viewers to make purchases directly from the TV screen during commercials or television broadcasts using their TV remote and / or smartphone. The project team has worked with some of the biggest international brands, such as Adidas, Skoda, P&G, Dyson, Volkswagen, Mercedes. MTS, Vimpelcom, Toyota, and others. NTR produces autonomous UAVs for internal monitoring of oil reservoirs, with precise positioning using only on-board sensors, flight algorithms for capturing the entire surface by imagery, camera/light management and obstacle avoidance algorithms. The company has completed successful pilot tests of oil reservoirs and the Moscow Metro, and has earned the interest of big-name customers in the field of technical monitoring, including DNV, Lloyds, Mistras/Aetos. Scalable and embeddable system for transmitting lighting control signals by means of electric cables. The Hidden Energy system enables users to control and monitor lights through the internet, resulting in savings of up to 30-60% on lighting. The Hidden Energy system can function at a range of up to 4 km, compared to 300-400 meters offered by competitors. A SaaS solution designed to prevent cyberfraud in financial services, telecommunications, healthcare and other industry sectors. DeepHound allows organizations to identify and predict fraudulent activities being conducted on the DarkNet and DeepNet. The technology also defends a company’s reputation, identifies flaws in existing cybersecurity systems, predicts developing threats, and provides investigative services in instances of cyberfraud. YL Verkot offers R&D services and products requiring highly-skilled engineers in wireless and networking technology. The team has already gained significant experience in designing and testing specific 5G/IoT solutions (cellular, vehicular, industrial, etc.). Bend-Engineering provides cleaning technology perfection based on the micro-hydropercussion effect, which increases productivity fivefold using half the power and with lower equipment costs. Customers are provided with efficient, reliable and safe micro-hydropercussion technology for surface and underwater cleaning, which has proven itself in practice many times over. Autonomous Retail Robots as a Service (RRaaS). The robotic platform comprises computer vision, a shelf scanning system (with recognition system), Lidar and IR sensors for indoor navigation, an emotion indicator and an LCD screen for location-based ads. The technology enables a tenfold reduction in costs with over 96% recognition accuracy. The Robosklad portfolio brings together 20 products and innovative technological solutions for automating warehouses and fulfilment, as well as equipment for digital production. Robosklad has supplied its products to more than 25 clients in 4 countries, including leading online marketplaces, logistics and retail companies, educational institutions and museums. 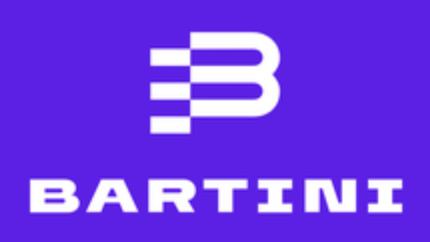 Now the company is focused on developing and supplying solutions for the automation of internal logistics, including conveyor production lines and automated warehouses and systems for sorting returned goods for Russian and US clients. Zubax Robotics researches, develops, and manufactures electric engines for application in aerospace and other industries. Télega technology – their latest innovation – enables electric vehicles to travel further using less battery power, thus removing one of the most significant obstacles in the way of converting all forms of transport to electricity. 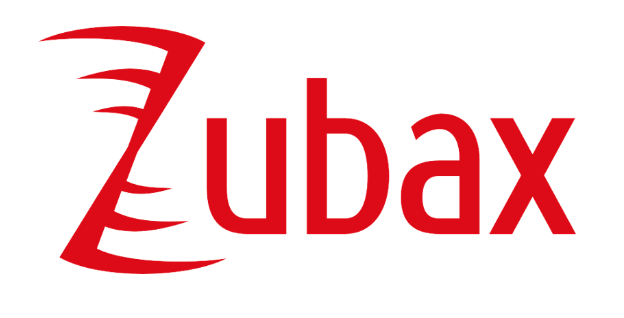 Zubax has also developed UAVCAN – an open channel for transferring data data for use in aerospace and other industries, as well as in robotic engineering. Driverless electric vertical take-off and landing aerial vehicle for mass urban aviation and intercity travel, with hydrogen fuel-cells, a top speed of 300 km/h speed and a 150 km flight range.